On September 25, 2018 in Washington D.C., Boys & Girls Clubs of America named Malachi Haynes the National Youth of the Year in a ceremony held at the National Building Museum in Washington D.C. He accepted the honor before an audience that included members of Congress and Boys & Girls Clubs of America partners and supporters, including National Spokesperson and Club alum Denzel Washington. The Youth of the Year program is presented by Disney with support from signature partner Toyota. The National Youth of the Year will receive $145,000 in academic scholarships, as well as a trip to Walt Disney World and a brand new Toyota vehicle. This year, the Youth of the Year program will award more than $1 million in scholarships to Club teens. 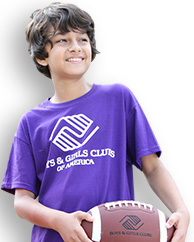 Through the support of the Boettcher Boys & Girls Club, Malachi became a leader in multiple arenas of his life. Malachi faced many challenges growing up, but overcame those obstacles thanks to the caring mentors from the Club. “Malachi symbolizes how local Boys & Girls Clubs around the country inspire and empower tomorrow’s innovators and leaders,” said Jim Clark, president and CEO of Boys & Girls Clubs of America. “Together, we can create more opportunities for youth just like Malachi, and enable all kids and teens to achieve a great future. Malachi will be a powerful voice, advocating for four million Boys & Girls Club youth and all young people who need us most." Becoming National Youth of the Year is an exciting and inspiring journey. Starting on the local level, Boys & Girls Clubs select Youth of the Year representatives who then progress to state and regional competitions, culminating with the National Youth of the Year Celebration which features youth from each of the five regions, as well as the National Military Youth of the Year. Regional finalists are awarded up to $45,000 in scholarships and the National Youth of the Year is awarded an additional $25,000 renewable for four years up to $100,000. Boys & Girls Clubs of America’s National Youth of the Year recognition program is presented by Disney, who has supported Boys & Girls Clubs of America for more than 50 years, empowering young people to reach their full potential and providing youth with access to the tools they need to build the great futures they imagine. Toyota, the Signature Sponsor of Youth of the Year, is dedicated to supporting and inspiring the next generation of engineers, thinkers and new leaders who will help drive the American economy. Since 2011, Toyota has provided the National Youth of the Year with a new Corolla. 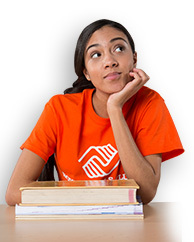 As Youth of the Year, Malachi will serve as the official spokesperson for Boys & Girls Clubs of America and its Young Alumni & Friends Club that connects former members who are living proof of the impact of Boys & Girls Clubs. 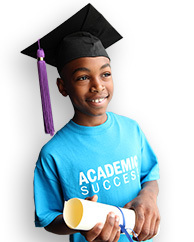 For more information about the Youth of the Year program, visit www.bgca.org/yoy.